Apologies from the Bookman, he is out of touch for the weekend. The Bookman apologizes, he is out of wireless internet connection for the weekend. Normal services resumes on Sunday Evening. The British crime novelist Lynn Shepherd has found herself at the centre of a storm after she called on JK Rowling to stop writing because she has "had [her] turn", suggesting that other writers need "room to breathe". 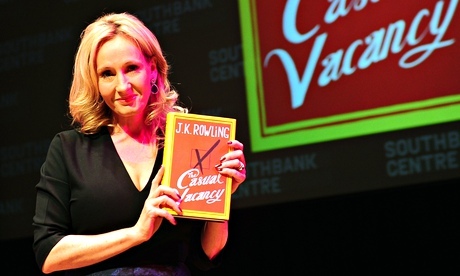 Writing in the Huffington Post, in a piece provocatively headlined "If JK Rowling Cares About Writing, She Should Stop Doing It", Shepherd claimed that Rowling's first adult novel The Casual Vacancy "sucked the oxygen from the entire publishing and reading atmosphere". Admitting that she had never read a word of Rowling's writing, Shepherd said that "Rowling has no need of either the shelf space or the column inches, but other writers desperately do", and asked the bestselling author to hang up her pen. 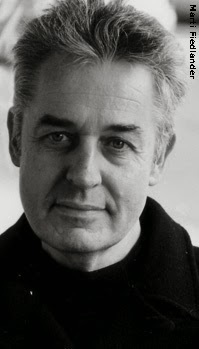 "By all means keep writing for kids, or for your personal pleasure – I would never deny anyone that – but when it comes to the adult market you've had your turn," wrote Shepherd, author of historical crime novels including Murder at Mansfield Park, Tom-All-Alone's (US title The Solitary House) and A Treacherous Likeness (published in the US as A Fatal Likeness). "Enjoy your vast fortune and the good you're doing with it, luxuriate in the love of your legions of fans, and good luck to you on both counts. But it's time to give other writers, and other writing, room to breathe." Published despite a warning that her intervention would be seen as sour grapes, the blog was immediately deluged with hundreds of angry responses. " As a successful author and freelance writer, I read this with my mouth hanging open. I don't think there is anything lower than publicly dissing another author – WITHOUT EVEN READING THEIR BOOKS," wrote author Robin O'Bryant. Another reader called the article "absolute rot. And, really, a bit shameful", adding: "An artist begging another artist to abandon their art because others can't compete? It's like the song Jolene, only a lot more pathetic." The row quickly spread to Twitter, where writer Mark Chadbourn said Shepherd's piece was an example of "how authors can shoot themselves in the head, via a catastrophic misunderstanding of how publishing works", and the award-winning Paolo Bacigalupi called it "zero-sum author thinking", adding: "If you think other people's success diminishes you, don't be a writer." Former The Book Depository managing director Kieron Smith pictured is to launch an online global bookseller, Best Little Bookshop, this spring. Smith made the announcement at the IPG Conference this afternoon (27th February), telling publishers the enterprise should be “a collaborative effort to offer something new”. 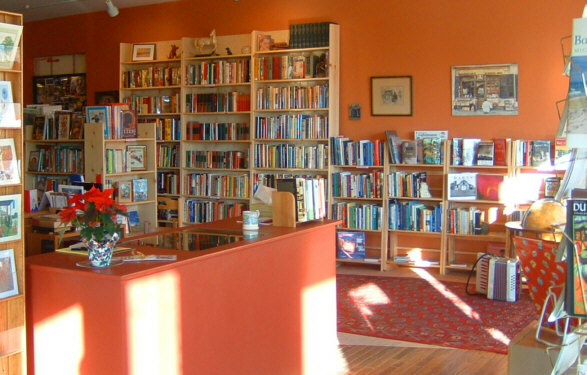 The website, bestlittlebookshop.com will sell a wide range of books from all publishers, but it will also contain profiles where other “partner” booksellers from around the world will be able to offer collections of specialist and hard-to-find, unusual books. 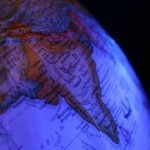 It will launch in four languages simultaneously: German, English, French and Arabic. Smith, who headed the now Amazon-owned The Book Depository for five years before leaving the company last November, was adamant that the website would not be “driven by algorithms”, thereby differentiating itself from other online booksellers. In addition to showcasing titles Smith feels do not currently get the attention they deserve, Best Little Bookshop will also offer categories in multiple languages. Smith described the website as “reader-focused, professional, innovative, beautiful in design and human in character”, and added that the company aimed to become “the most loved little online bookseller in the world”. The business will be initially run by Smith with marketing support from his wife Sharon Smith while it takes off, before he appoints more staff. “I think there is room in the market for our business model,” he said. He called on publishers interested in working with him to get in contact over the next few weeks. Before joining The Book Depository, Smith was previously the head of e-commerce at Waterstones and the head of online operations at GAME stores. For a few weeks it seemed as if Amazon Publishing had finally arrived to compete with the world’s largest publishers, which consistently dominate the Digital Book World Ebook Best-Seller list. For several weeks in a row, Amazon had a handful of top sellers, including a No. 1 ebook best-seller the week ending February 1, a first for the publisher. After sustaining some of its best-sellers for several weeks, Amazon publishing titles began to slip down the list and this week there is only one ebook on our best-seller list, which tracks sales across Amazon, Nook, Apple, Kobo and Google. The title is The Rented Mule by Bobby Cole, sitting at No. 25 on the list for $4.99. At the same time, HarperCollins has added another No. 1 best-seller to its pile this year with Veronica Roth’s Divergent taking the spot again for the third week in a row. And Penguin Random House again has 10 or more ebook best-sellers, a feat the large publisher has achieved a majority of weeks since it was formed last summer. Meanwhile, the average price of a best-selling ebook continues to tick up, now sitting at $6.48, up from $6.24 last week. The internet has made the translator's job infinitely easier. No longer must we spend hours in dusty libraries, sifting through piles of reference books like archaeologists. We can consult online dictionaries, search for words in different contexts, find slang in forums; we can Google-image unknown objects, even Google-earth the location of a story. Yet translate something from a country like Equatorial Guinea and things aren't quite so easy. There is no reliable news outlet in Equatorial Guinea: the government is one of the most corrupt and brutal in the world and independent journalism of all kinds is repressed. President Obiang and his cronies are very rich, but Guineans remain poor: most people don't have access to computers; those who do, have their internet activity monitored and censored. The situation is even more extreme on Annobón Island. Put Annobón into Google Maps and you get a crude outline of a green blob – you have to click out 10 times before the west coast of Africa even comes into view. There is no online island newspaper, no blogosphere. There are hardly any photos. Annóbon is the setting for By Night The Mountain Burns, a novel by Juan Tomás Ávila Laurel I translated for And Other Stories, which is due to be published this year. 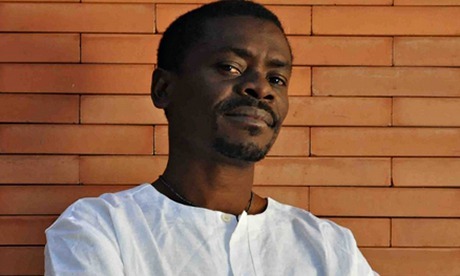 It tells the story of life on an island cut off from the rest of the world, starved of food and knowledge (Annobón became isolated and ostracised following a regime change in Equatorial Guinea). So it was perhaps appropriate for the translator not to have access to everything at the click of a button. 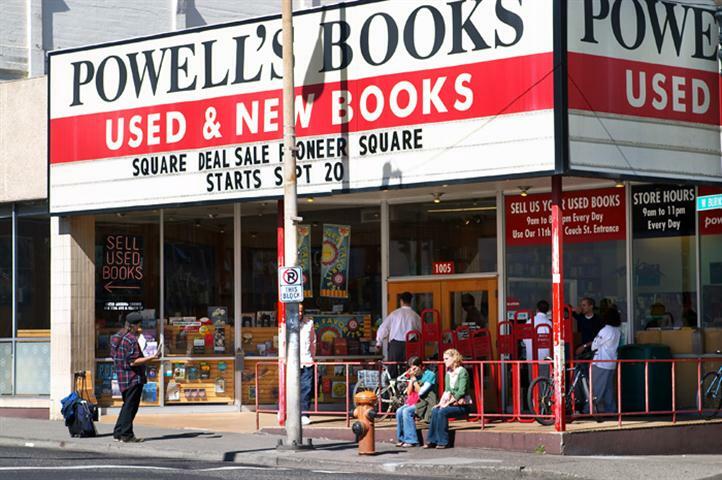 "Get lost in Powell's City of Books. This bookstore in Portland claims it's the largest one in the world... and considering 1.6 acres of bookshelves and nine color-coded rooms, we're inclined to believe them." Once again, the literati are twittering about how books by women are reviewed — or ignored. The feminist organization VIDA has released its latest annual tally of how many women were covered in ”the major literary publications and book reviews.” The study notes progress in some venues but finds persistent preference for men’s books in other literary magazines and journals. "It could be that I am one of the last of a vanishing breed. If that's the way things turn out, I will be grateful to the end of my days for such a wonderful experience: my own bookstore, surrounded by books, meeting strangers, making friends, helping customers, and getting to know writers in this world we shared as the 20th century turned to the 21st on planet Earth." A new Kate Mosse novel its due to hit shelves on 11th September this year. Mosse’s publisher Orion has described The Taxidermist’s Daughter, set in 1912, as “a Gothic psychological thriller” featuring a series of grisly murders which rock a flood-beset village in west Sussex. Mosse seems to have got her inspiration from visiting the Walter Potter Museum of Curious Taxidermy in the 1970s. "Having finished my Languedoc Trilogy after 15 years of researching, planning and writing, the time was right to exchange the mountains of the Pyrenees for the creepy glass bells jars and grisly feather and fur displays of a taxidermist’s workshop," she said. Mosse's three Languedoc novels, Labyrinth, Sepulchre and Citadel, have together sold 1,869,861 copies through Nielsen BookScan, with Labyrinth's total numbering 1,206,859. Independent publisher Legend Press is hosting a pop-up shop in The Prince’s Trust Tomorrow’s Store in London throughout March. The company launched in 2005 with the help of a grant from The Trust and will display its titles in the Liverpool Street shop while hosting a series of pop-up events throughout the month. The store is entirely stocked by young entrepreneurs who have set-up in business with support from The Prince's Trust Enterprise programme. All profits are reinvested in The Prince’s Trust to fund more programmes to help young people. Children’s Laureate Malorie Blackman, "Great British Bake Off" host Mel Giedroyc and "Made in Chelsea" star Andy Jordan among the judges selecting winners of the Booktrust Best Book Awards with Amazon Kindle. The all-star line up of judges also includes "The Apprentice" winner Tom Pellereau, TV presenters Cerrie Burnell and Andy Akinwolere Helen Skelton of "Blue Peter" and DJ and radio presenter Nemone Metaxas. As well as judging, Giedroyc will host the awards ceremony, set to take place on 2nd July. Vinutha Mallya recaps the highlights of GLOBALOCAL 2014, the "forum for content" organized by the German Book Office, New Delhi and the Frankfurt Book Fair. A snapshot of STM publishing in India, which represents 84% of the publishing industry's profits in the country, from this February's GLOBALOCAL conference. What is hypertext and how does this affect the way we create and consume content? Corey Pressman and Mark Bernstein jump into this topic in the latest Exprima Talks episode. Several top-selling titles were among the winners of this year’s Crossword Book Awards, given by the Indian bookseller at the Times of India’s Literary Carnival. 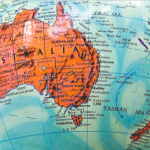 NZSA/AUCKLAND MUSEUM RESEARCH GRANTS 2014 Recipients Announced! The New Zealand Society of Authors and Auckland Museum are delighted to announce the recipients of the 2014 Research Grants. The grants create an opportunity for three writers to utilise the considerable facilities and resources of the Auckland Museum Library in the development of their fiction or non-fiction manuscript. They comprise one national grant of $3500 (supplemented by 4 weeks of accommodation in Auckland at the Michael King Writers Centre) and two regional grants of $1500 for two Auckland writers. In 2014 the recipient of the National Research Grant is Jenny Haworth – a Christchurch writer and publisher who will be utilising the museum library to research her non-fiction book “Behind The Twisted Wire” which is a study of how artists reacted to their involvement in World War 1. Jenny says she’s delighted to receive the grant as access to certain resources in Christchurch post earthquake have been severely limited. The two local (Auckland) grants of $1500 were awarded to Joelle Thomson for her non-fiction book “Wine in Aotearoa” and Zoe Meager for her literary novella – “Harry and Krisoula” . The grants were offered for the first time in 2011 in recognition of the value of the Museum to fiction and non-fiction writers. The Library holds one of New Zealand’s major research collections and the breadth and depth of the historical record is well suited to writers’ research. The Library is available for use by the general public, in addition to academics and researchers. The Oscar Wilde Society has published the first study of Wilde's lecture tours of Britain and Ireland. Between 1883 and 1889 he lectured on artistic and social topics in most major towns. Using newspaper reports, letters, memoirs and previously unpublished sources, this book looks in detail at Wilde's visits to West Yorkshire, the North East of England, the Lake District, Scotland, Ireland and the West Midlands. Sunday 2nd March 10am – 4pm. Thames Book Fairs are holding a book fair in the historic old Malthouse central Farnham Surrey. with around 38 exhibitors, once again there are a couple of new faces, all displaying a wide range of books for collectors and the general reader. There are military specialists, modern firsts, juvenile and illustrated plus some ephemera, prints, maps and much more. Delicious refreshments and rest area in order to recharge and continue the search for that must have item. Two large free car parks on site. In recent years the National Trust's second hand bookshop at Blickling Hall in Norfolk has raised hundreds of thousands of pounds for the maintenance and improvement of the house, gardens and park. The Courtyard Bookshop relies solely on donations from members, supporters and the public and has grown into (probably) East Anglia's largest second hand bookshop. For seven days commencing Monday 24th March they will be holding a special sale of recently donated rare and collectable books. Obviously the usual substantial and varied stock will continue to be available as well. For these seven days only, buyers will receive a 10% discount on all purchases totalling in excess of £35. Lovers of Blickling Hall will already be aware that the stunning Long Gallery contains one of the Trust's most important libraries consisting of some 12,500 volumes. In addition, during this week local auctioneers Keys of Aylsham will be holding their bi-monthly two day book auction on the 27th and 28th. Four major exhibits are on display at the Morgan Library and Museum, at 225 Madison Ave. ‘Visions and Nightmares: Four Centuries of Spanish Drawings’ showcases over twenty sheets by Spanish artists from the Morgan’s pre-eminent master drawings collection. ‘The Little Prince: A New York Story’ features twenty-five of the manuscript pages, printed editions from the Morgan's collection, as well as personal letters, photographs, and artefacts. ‘A Collective Invention: Photographs at Play’ displays eighty photographs and signals the debut of photography as a curatorial focus at the Morgan. ‘Medium as Muse: Woodcuts and the Modern Book’ surveys illustrated publications from 1890 to 1935. E L James’s FIFTY SHADES OF GREY trilogy tops 100 million copies in worldwide sales – and 100 weeks on the New York Times bestseller list. NEW YORK (February 27, 2014): This week, E L James’s #1 best-selling trilogy reached two milestones – the trilogy has sold 100 million copies worldwide; and Fifty Shades of Grey has spent 100 weeks on the New York Times bestseller list. The Fifty Shades trilogy, which started as a word-of-mouth eBook sensation, has captured the attention of readers around the world. To date Vintage Books has sold more than 45 million copies of the trilogy in the U.S. in both print and eBook. At the peak of book sales, there were two copies of the trilogy selling every second. The Fifty Shades of Grey trilogy is the fastest selling book series in the history of Random House. And the trilogy continues to sell around the world (2013 sales topped 5 million copies in the U.S. alone). Publishers around the world have published and translated the Fifty Shades trilogy books in quick succession and with spectacular success. Arrow Books has sold more than 27 million copies in the U.K. (and Commonwealth countries), and one million copies or more in Germany, France, Spain, Brazil, and The Netherlands. The trilogy has been translated into 51 different languages, including Russian, Hebrew, Thai, Serbian, Mongolian, Icelandic, Latvian, Korean, Lithuanian, and Slovak. Vintage Books started publishing the three titles in the series in eBook on March 12, 2012; and in trade paperback April 3, 2012 (Fifty Shades of Grey) and April 17, 2012 (Fifty Shades Darker and Fifty Shades Freed). Since publication, the trilogy has continuously been on the New York Times bestseller lists for two years (with Grey usually in the top ten). First published as an eBook in May 2011, Fifty Shades of Grey follows the relationship of 27-year-old billionaire Christian Grey and college student Anastasia Steele. Subsequent novels in the series, Fifty Shades Darker (September 2011) and Fifty Shades Freed (January 2012) explore the couple’s deepening relationship. The film Fifty Shades of Grey, starring Jamie Dornan as Christian Grey and Dakota Johnson as Anastasia Steele, will be released on Valentine’s Day weekend 2015 by Universal Pictures and Focus Features. Cash prizes include $500 for the top poem (judged by Tim Jones) and $100 each for the top 5 haiku (judged by John O’Connor), plus an extra $150 from the Jeanette Stace Poetry Trust for the First Prize winning haiku. There are also junior sections for both types of poem, with top prizes of $200 (verse) and $150 (haiku). Prize-winning poems will be published in the NZ Poetry Society's annual poetry anthology, to be released in November 2014. All entries are eligible for selection for the anthology, which will be carried out by an independent editor. Poems are selected on literary merit and purchase of the anthology is not a requirement for having a poem included. Applications close on 7 March (next Friday) for two major literary opportunities for New Zealand writers. This $100,000 fellowship is available to established New Zealand authors of any literary genre with a significant publication record. It is offered annually for writers working on a major project which will take two years or more to complete. Previous recipients are Owen Marshall, Vincent O’Sullivan, C.K. Stead, Rachel Barrowman, Neville Peat, Dame Fiona Kidman, Philip Simpson, Kate De Goldi, Peter Wells, Dr Peter Simpson and Fiona Farrell. This residency is open to nationally recognised writers who have published at least one volume of work. Applicants at an early stage of their career, as well as more established writers, are eligible to apply. The residency is part of the University of Iowa’s International Writing programme and runs for three months, approximately August to November. A Creative New Zealand grant goes towards airfares, accommodation and living expenses for the selected writer. Previous recipients of the residency include: Gordon McLauchlan, Vivienne Plumb, James Norcliffe, Penelope Todd, Brian Falkner, Kathy White, David Hill, Lynley Hood and Jeffrey Paparoa Holman and Craig Cliff. We’ve been around for 25 years! Super Specials from $8 to $15 plus 10% off all full-price books bought in store! So come & visit us! Sale starts 10am Saturday 1 March and continues throughout March while stocks last. The Super Specials shown below are just the tip of the iceberg – to view all the Super Special books click HERE. Janet Frame Memorial Lecture, 2014. Gavin Bishop (ONZM) delivers the 2014 Janet Frame Memorial Lecture, sponsored by the New Zealand Society of Authors in association with the New Zealand Festival and City Gallery Wellington. For over 30 years, the lives of children and grown-up children have been shaped by the books of Gavin Bishop. His literary “state of the nation” lecture entitled The Mouth of the Whale (The Power of Pictures) will focus on illustration and its place in literature. Gavin will be introduced by the Wellington Mayor Celia Wade-Brown. Everyone is welcome to attend the lecture at the Adam Auditorium, City Gallery Wellington 6.15pm on March 10th. Doors open at 5.45pm, admission is free. 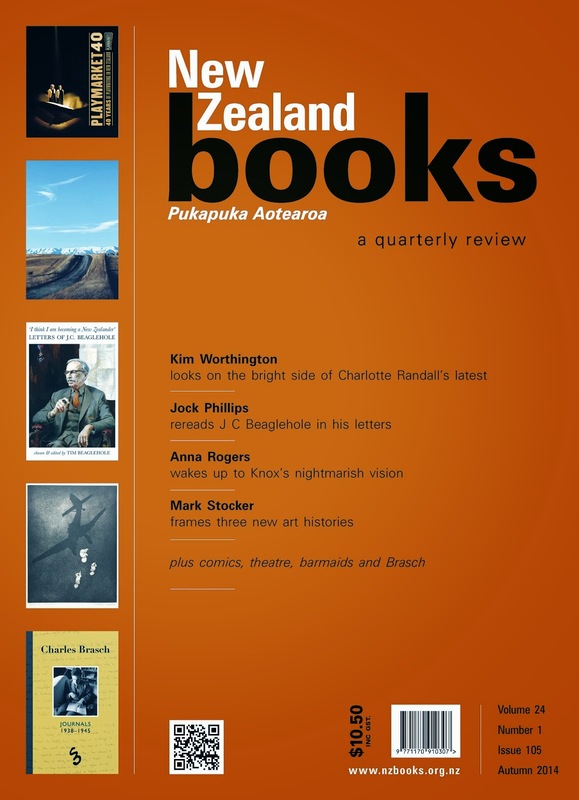 Issue 105 of New Zealand Books contains its usual array of sparkling reviews. Mark Stocker checks out Jill Trevelyan's life of Peter McLeavey and other art books. Kim Worthington is marooned with Charlotte Randall's latest novel. Laurie Atkinson is unhung up recalling three scandalous plays by Robert Lord. Kathryn Walls looks hard at another previously unpublished Janet Frame. J K Rowling's Robert Galbraith novel The Cuckoo's Calling (Sphere) has narrowly bumped Kate Atkinson's Life After Life (Black Swan) from the top of the bestseller charts, the 70th week a Rowling title has topped the UK Official Top 50. In doing so, Rowling has chalked up the most overall number ones since Nielsen BookScan records began, supplanting Dan Brown, who has achieved the feat 69 times. Since BookScan records began in 1998, a book by Rowling, Brown or Jamie Oliver—who has the third most overall number ones with 54 weeks—has occupied the overall number one spot in one out of every five weeks. The total will almost certainly be added to when the paperback of Brown's Inferno is released on 8th May. Atkinson, who had held the top spot for the previous three weeks, missed making it a month at the top by just 852 copies, selling 21,276 units to The Cuckoo's Calling's 22,128. Meanwhile, US Young Adult superstar John Green continues his UK rise, hitting third place with The Fault in Our Stars (Penguin, 15,208 units), his highest ever British chart position. Mo Hayder also attained her highest chart spot, with fifth-placed Poppet (Bantam) shifting 11,599 copies. 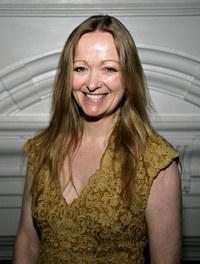 In Original Fiction, Josephine Cox's The Runaway Woman (HarperCollins) supplanted Lynda Pearse's Survivor (Michael Joseph) at number one, with Cox's title shifting 3,521 copies. Si King's and Dave Myers' The Hairy Bikers Asian Adventures (Weidenfeld, 4,305 units) retained the Hardback Non-Fiction number one for the second straight week, while Eric Lomax's The Railway Man (Vintage, 6,761) has kept the Paperback Non-Fiction number on for the seventh successive week. Overall, £22.44m worth of print books were sold through BookScan last week, a drop of less than 1% on the previous week and a marginal rise on the same week in 2013 (£22.395m). Why are there so few female book reviewers? New Lee Child cover revealed today!